One On One Tutoring Service, Inc. provides the highest quality one to one instruction using research-based assessments and curricula to develop and implement learning plans that are customized and tailored to fit each student's academic needs. Our comprehensive diagnostic tests pinpoints learning gaps and allows us to develop appropriate and specific instruction to fill these gaps and build a solid foundation that will help students succeed in the classroom. Free tutoring under the No Child Left Behind Law. Your child may qualify for free tutoring, but you need to know your rights and ask questions to get the full benefit of the services the law requires.Hundreds of thousands of students are eligible for free tutoring under the federal (NCLB) law, but less than 15% of them are getting it, according to the U.S. Department of Education. Students from low-income families, in grades K-12 who attend a school in the Lancaster School District, Allentown School District or Philadelphia School District. *Not all schools are eligible. Please call our office to find out if your school is eligible. Review the SES provider list. Complete the application that is mailed to you by your child's school district. 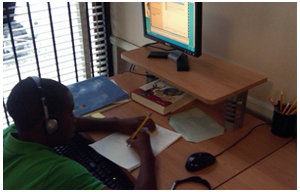 Select One On One Tutoring Service as your child's first choice provider or contact our office for an application. Return signed application to our office. Click to complete the questionnaire and have One On One Tutoring Service create a learning plan and also recommend specific workbooks that will address your child's learning needs. 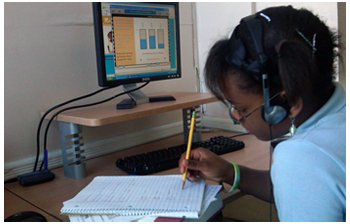 Tutoring is delivered online to students who attend a Lancaster School District or an Allentown School District school.